Colorado Springs Together came to us for help with communications related to restoration efforts. 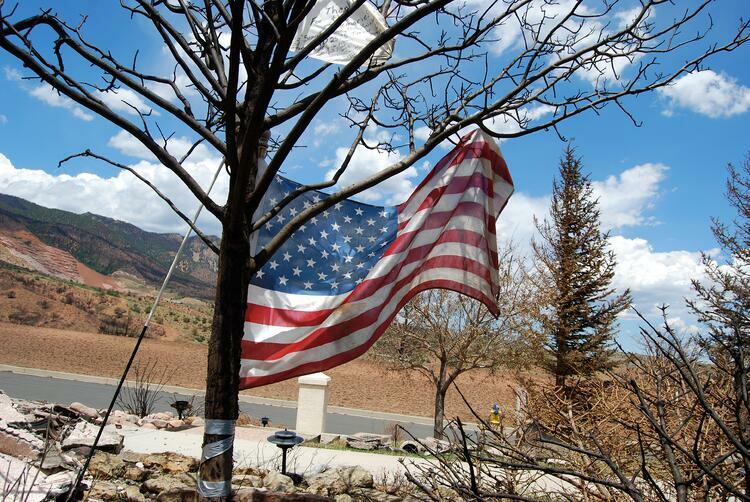 Colorado Springs Together is a 501(c)(3) non-profit organization with the mission to coordinate the rebuilding and restoration of the Mountain Shadows community after the damage and devastation caused by the Waldo Canyon Fire. The organization brings together the various facets of the Colorado Springs community at large to leverage the resources available in the private, public and non-profit sectors to accomplish the quick and effective restoration of the neighborhood. Two days after the horrific Waldo Canyon Fire devastated the Colorado Springs neighborhood of Mountain Shadows—tragically claiming two lives—we got a phone call asking for help. The neighborhood lost 347 homes in a matter of hours, and the non-profit Colorado Springs Together was immediately formed to lead the restoration efforts. The trauma of losing everything overnight left the residents of this community in shock and in urgent need of hope and direction. It was clear that we needed an effective way to continuously communicate with the two thousand affected families… and we needed it quickly! Within a week, the 30dps team had created an easily recognizable brand, developed a robust website, produced corporate identity and collateral materials, and launched numerous campaigns to establish presence and authority within the media and the neighborhood as the official recovery organization. But as important as this quick launch was to the success of the effort, it was only the beginning. 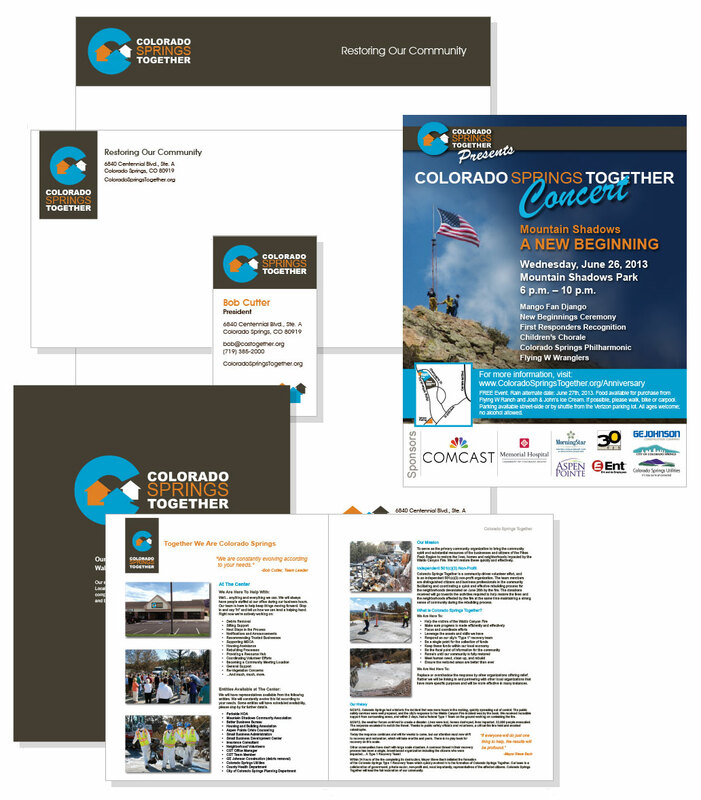 Over the next 12 months 30dps worked closely with the all-volunteer leadership team at Colorado Springs Together to launch a steady stream of communications providing resources, tools, support, and hope to the community. In addition to realtime updates to the information presented on the website, the team published daily, targeted e-blasts, informational videos, and social media posts designed to provide comfort, assurance, and a reliable source of timely, relevant information. 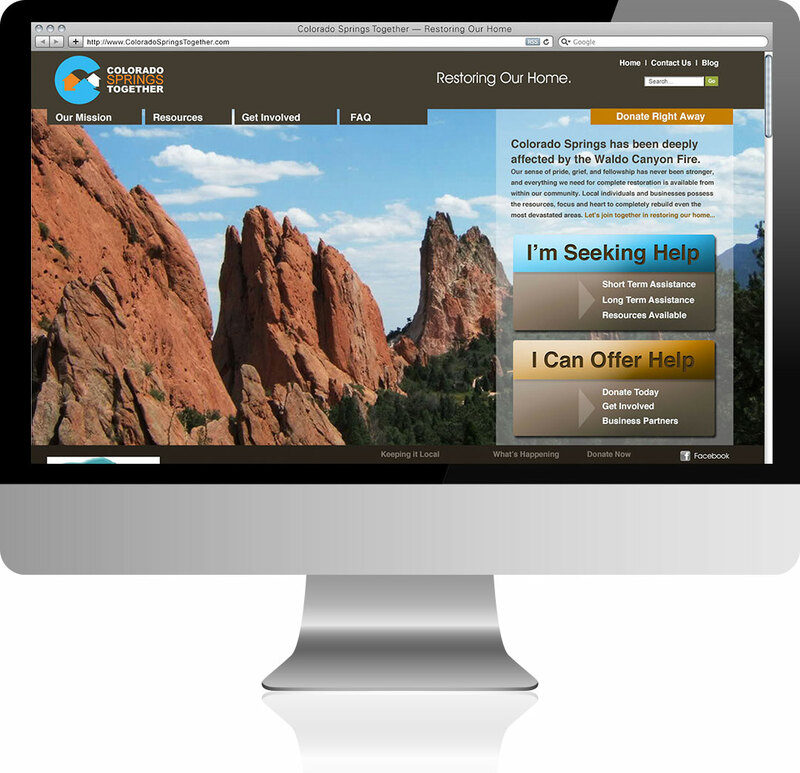 Years later, we still proudly host the Colorado Springs Together website, but the organization shut down operations once we had reached an unprecedented number of rebuilt homes. "30dps was an instrumental part of Colorado Springs Together from the very start, getting involved just two days after the fire hit Mountain Shadows on 26th June 2012. After the first meeting with the 30dps team on 7/2/12 a fully functional website was in place one week later. The approach to the design, content and social media communications implemented by the 30dps team has been one of the core elements of our success bringing together neighbors and the community to forge solutions to move the restoration efforts forward quickly." Contact us today, tomorrow, or the next day. Let’s just chat. No strings attached, no obligations, no contracts. We are here to help.